A new bill passed by lawmakers in New York would allow employees to take three months off after the death of a loved one. The bill still has to meet approval from Governor Cuomo. Business owners are concerned about how the bill could impact operations. The bill includes 12 weeks off for the death of a spouse, domestic partner, child, parent, in-law, grandparent, or grandchild, according to CBS New York. 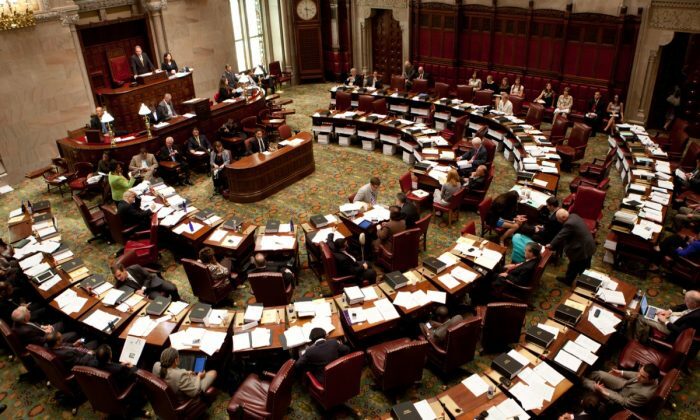 The bill was passed by the New York State Senate and Assembly in June. It hasn’t reached Cuomo yet, according to the New York Post. The current Paid Family Leave policy gives time off for a parent to care for a new child or a sick relative. The new law expands on that and grants employees 50 to 67 percent of their average weekly wage for 12 weeks, but that average cannot exceed the state average, which is currently $680. The bereavement bill was sponsored by state Sen. Rich Funke of Fairport and Assembly Majority Leader Joseph Morelle of Rochester. Both had adult children who died. “Those who have suffered similar tragedy in their lives understand there is no timetable on grief. Everyone is different,” said Funke in June, according to the New York Post. Greg Greenwood, owner of Bleeker Street Pizza, said the bill would make things awkward. He told CBS New York that he would have to train workers to replace those on leave, and then let them go after the three months is up. “Our business and any other small business it would be catastrophic. Twelve weeks paid leave. We need all the staff that we have,” said Greenwood. The CBS report cited a study that 90 percent of employers in the United States offer bereavement leave, but that it averages only four days.